8 things you really didn't care to know about me. 1) I love Garth Brooks (but only circa 1990s). This is probably because my mom is completely obsessed and we would spend long car rides listening to him on repeat while delivering desserts for her bakery. I know nearly every one of his songs by heart, but I have a fewfavorites that I listen to over and over and over (yes, most of these videos are super cheesy). 2) I love when people call me Rhy. I wish it happened more. It's happened like seven times in my life. Or maybe 6. And. Every. Single. Time. It. Was. Amazing. 3) I believe in luck, fate, karma, the evil eye, divine interventions, red bendels, and superstitions (I don't even know if you can technically believe in all of them simultaneously). I knock on wood like a maniac and always carry some kind of good luck charm or jewelry. 4) Kevin Bacon is my favorite actor ever. I've always thought he was adorable and handsome and amazing and perfect. Everyone thinks I'm insane. I think they are insane. 5) One of my all-time favorite movies in The Wedding Singer. When I was about 10, I watched it all the time on VHS (though many of the dirty jokes made absolutely no sense to me). I saw it so much that I memorized the words for the ENTIRE film. BUT, I haven't seen it in over 5 years though because VCR's are basically obsolete. 7) I have a Darwinian Tubercle. It's a congenital birth mark of sorts. Basically it's a tiny bite out of my left ear. My dad has one, my grandpa has one. It does absolutely nothing, except make me insanely awesome. 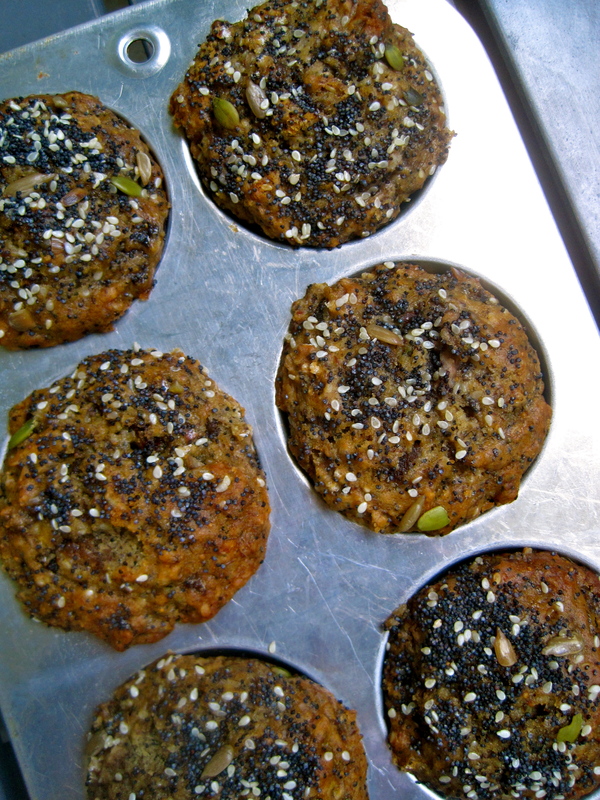 8) These muffins, loaded up my grill with seeds (and I don't mean the steak kind of grill). 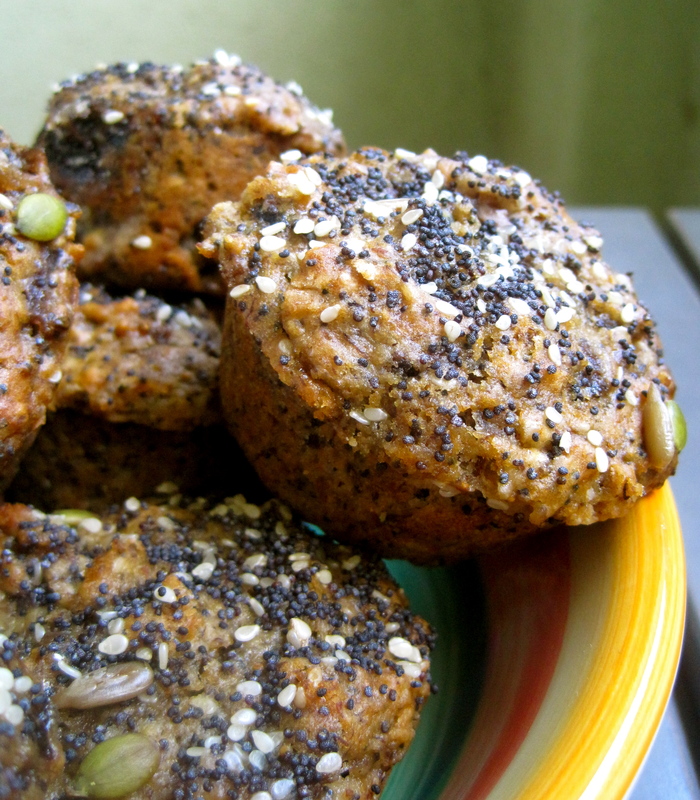 They are some of my favorite homemade muffins and you should make them. So we have loaded grills together. 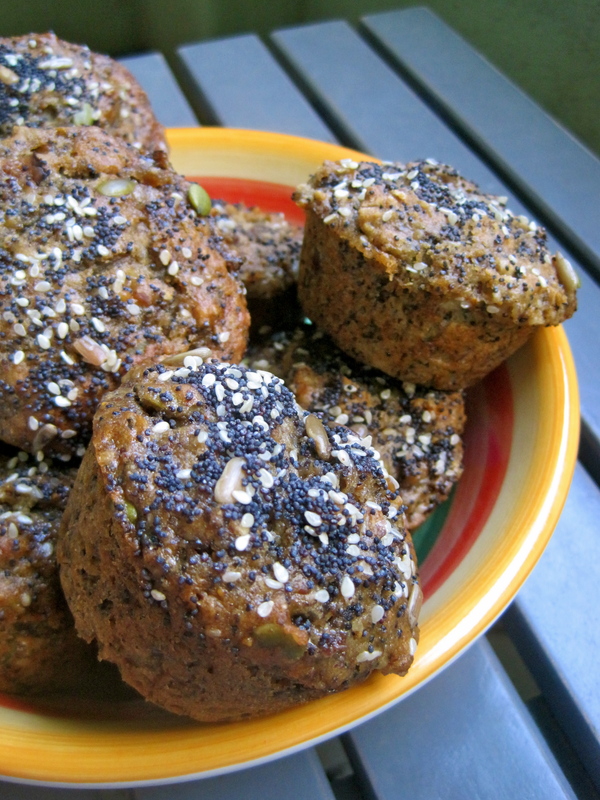 These muffins are delightful! I've been enjoying them for breakfast and snacks daily. 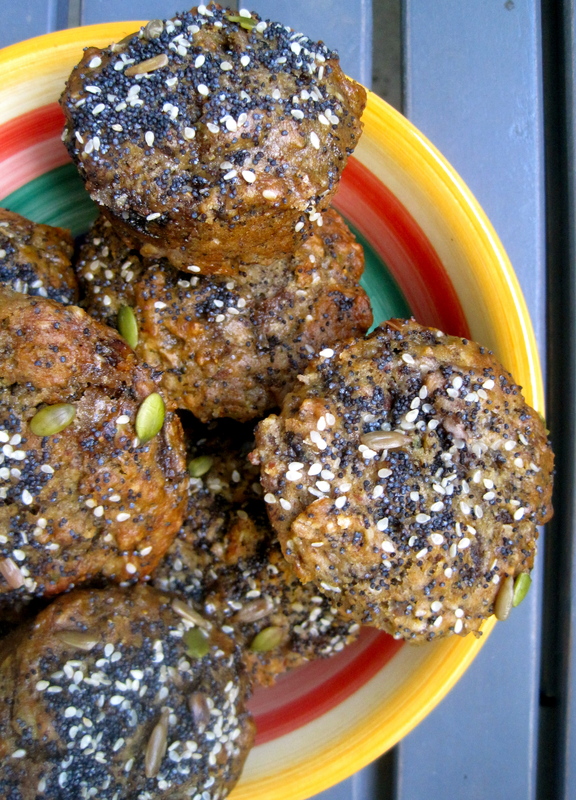 They can be made with either dried figs or dates, both are delicious. I also tweaked the recipe and used greek yogurt instead of regular plain yogurt. 1. Preheat oven to 350°. Butter 12 muffin cups (1/3-cup size) and set aside. 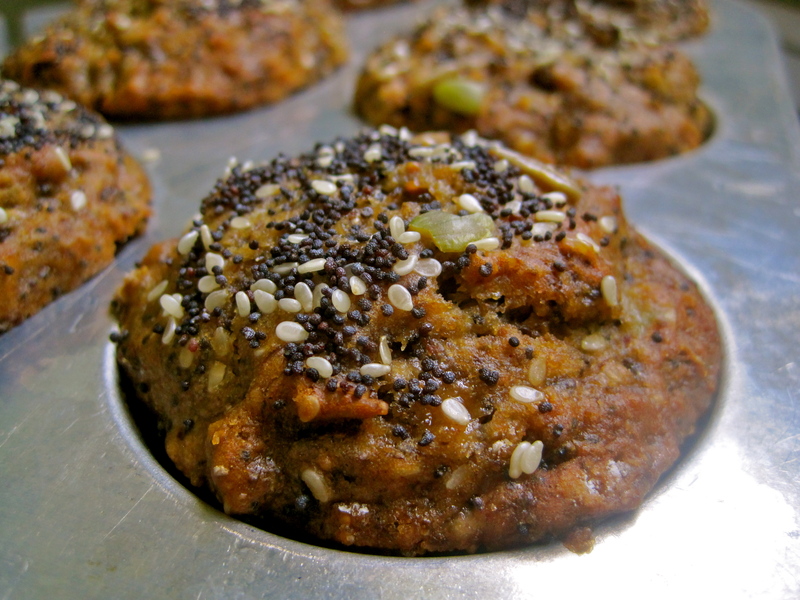 Put sesame, poppy seeds, sunflower and pumpkin seeds on a baking pan. 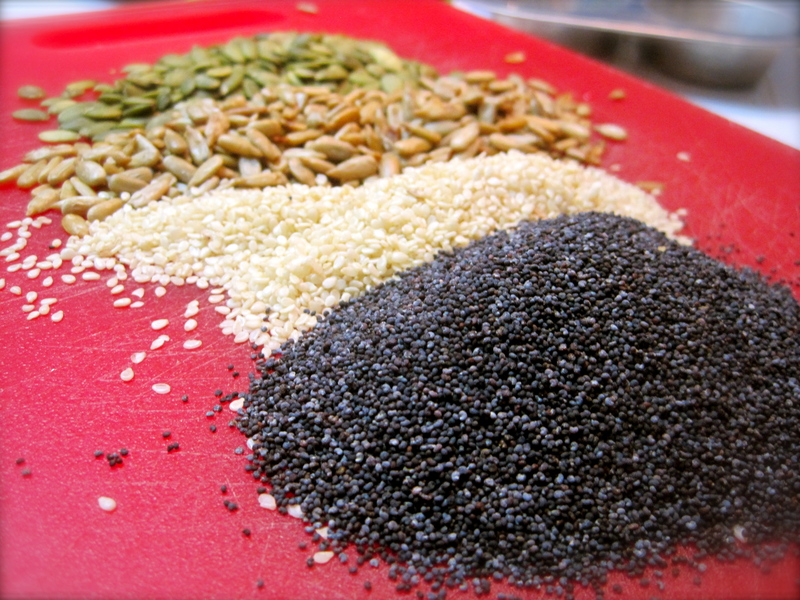 Bake seeds, stirring once, until golden, 6 to 8 minutes. They toast very quickly, so pay attention! 2. 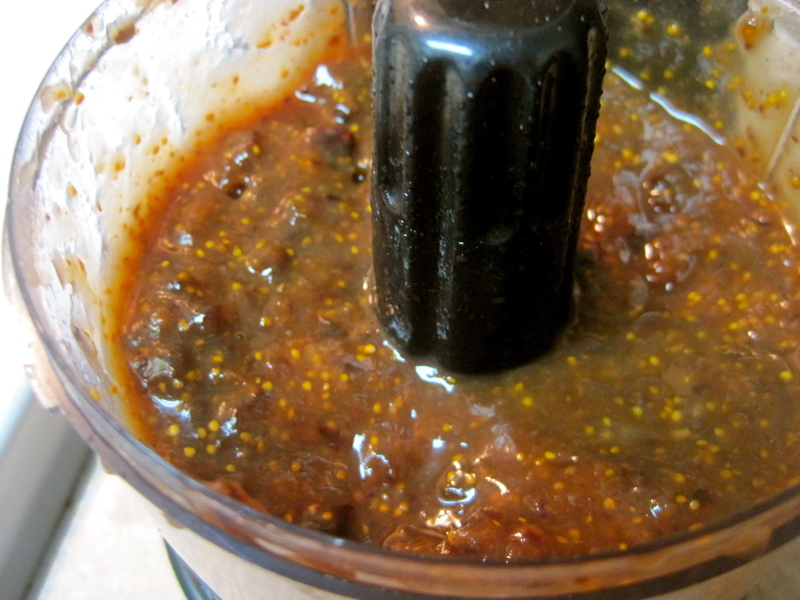 Whirl figs with 1/2 cup water in a blender or food processor until very smooth. Scrape into a medium bowl and add bananas, yogurt, oil, vanilla, egg yolk, and brown sugar. Whisk to blend, then set aside. 3. Stir flours in a large bowl with flaxseed meal, baking powder and soda, salt, and all but 2 tbsp. of the seeds. 4. 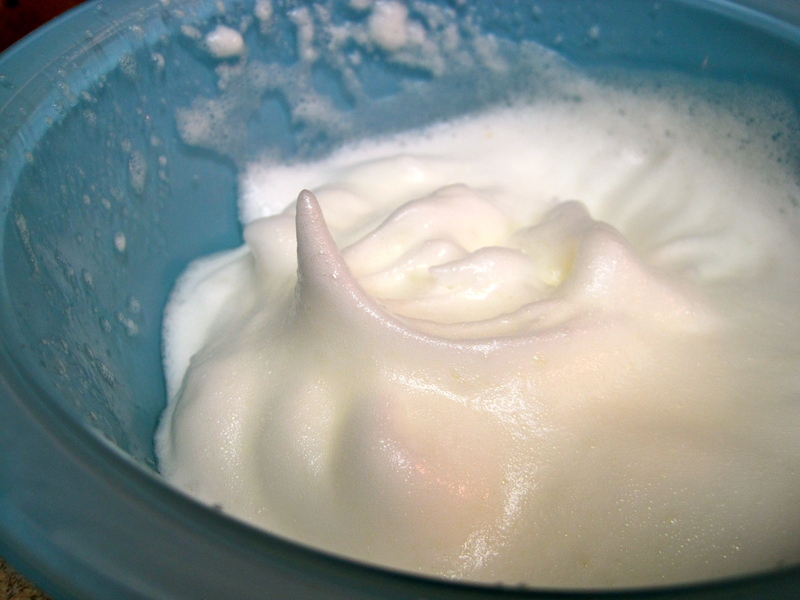 Beat egg whites with cream of tartar in a bowl with a mixer on high speed until foamy. Continue beating until soft peaks form. Fold whites into banana mixture. 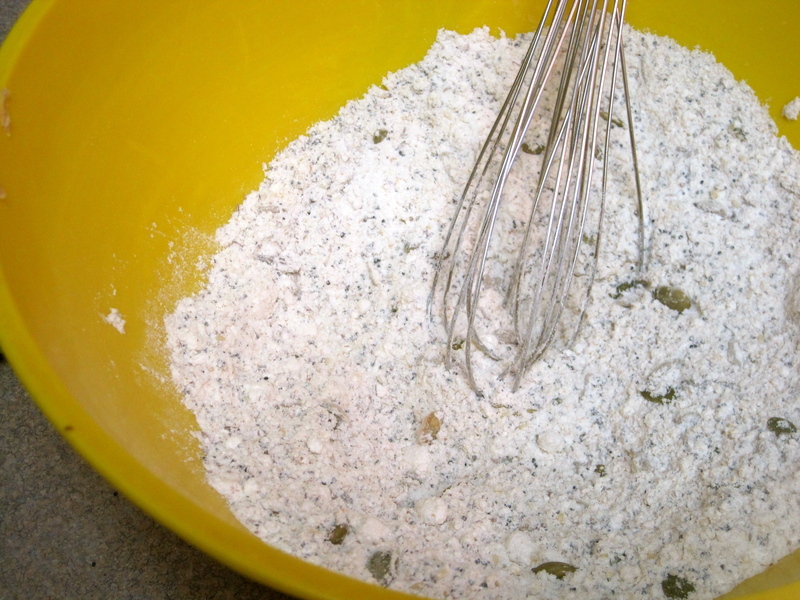 Fold into flour mixture just until blended. Spoon batter into prepared muffin cups (they’ll be very full). Sprinkle with remaining 2 tbsp. seeds. 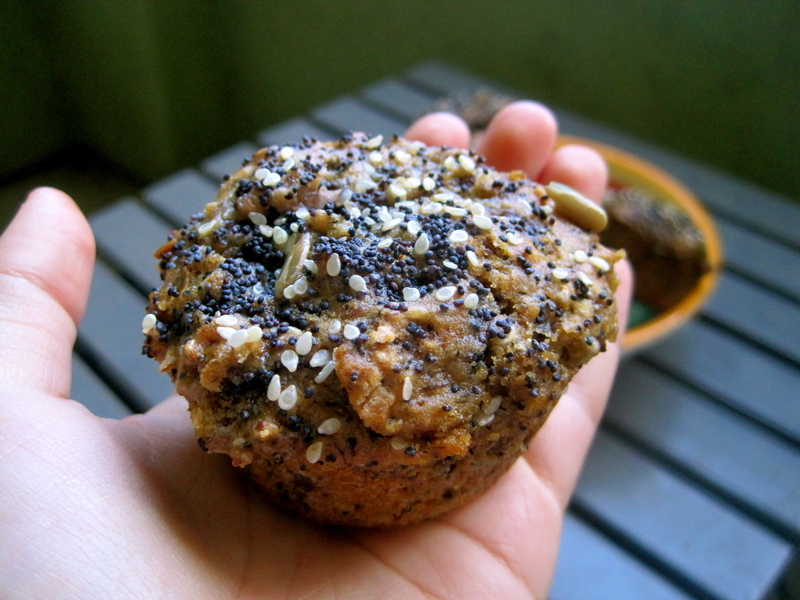 Bake muffins until just firm to touch and edges are golden, 22 to 25 minutes. Loosen from pans with a small metal spatula. Serve warm or cool.